Patrick Stewart, Xavier’s previous actor, watches the event via Smartphone with great amusement. Stewart, who had gone bald by the time he had turned nineteen, even jokes that McAvoy should gather up the fallen hair and send it to him claiming that he could ‘make some use of it’. 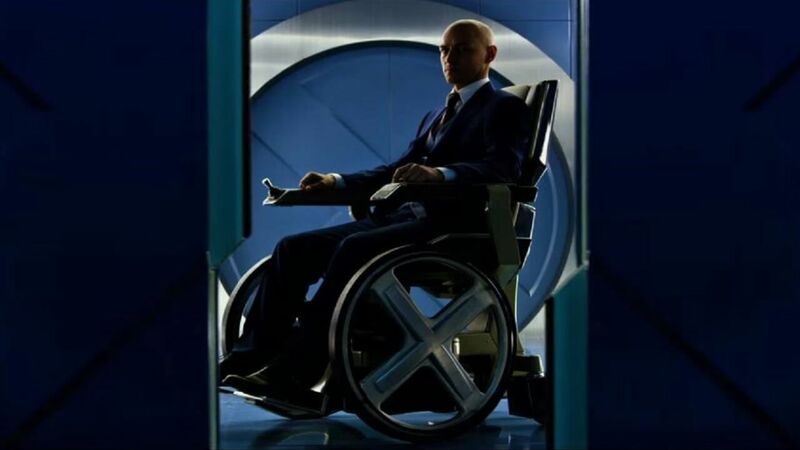 James McAvoy finally wearing the iconic hairstyle (or lack thereof) of Professor X feels entirely appropriate given the events of the movie. Fox’s latest offering revolves around the plans of iconic X-Man villain Apocalypse and (unlike Days of Future Past) it doesn’t involve any of the cast of the original trilogy. So it’s fitting that James McAvoy should fully adopt Xavier’s look as he fully makes the role his own.